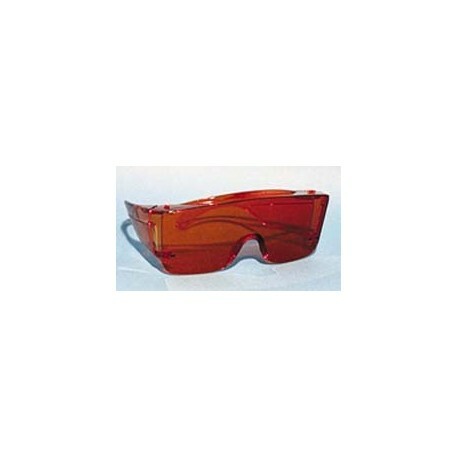 Protect your workers against hazardous UV with proper eye protection. SAF-T-CURETM ORANGE UV FILTER GLASSES provide the best protection by blocking UV exposure up to 400nm and blocking blue light between 400 and 510nm. The harmful blue light can cause eye irritation and damage especially when taking photosensitizing medication. Our Orange UV Filter Glasses meet OSHA requirements and ANSI Z87.1. Sold individually or 24/case. This style is available in the following alternate colors Dark Grey or Dark Green/Grey. Alternate colors are only available in cases of 12. See "Color Options.jpg" to the left for image.